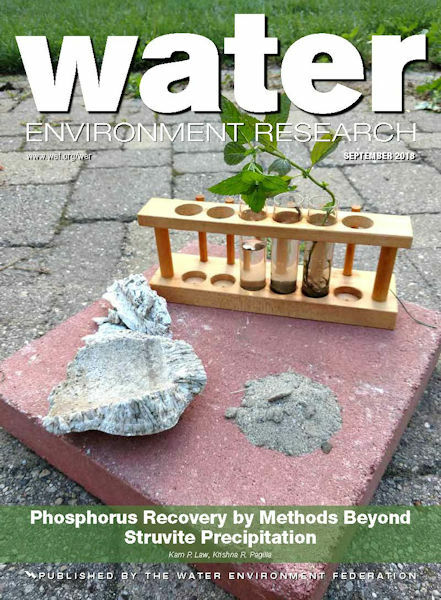 Click to access the September 2018 issue of Water Environment Research. Researchers investigated the unbiodegradable fraction of particulate chemical oxygen demand (PCOD) in thickened waste activated sludge (TWAS). They used semi-continuous completely-mixed anaerobic digesters for the study. A laboratory-scale system was operated at detention times ranging from 16.7 to 33.3 days with organic loading rates between 1.21 and 3.47 kg/L m3. The article, “Estimation of the Unbiodegradable Fraction of Thickened Waste Activated Sludge,” presents the finding that unbiodegradable fractions of PCOD and volatile suspended solids range between 0.26 and 0.28.